Jose Mourinho explains why he cupped his ear at Juventus fans following Manchester United's dramatic late win over the Serie A Champions in Turin. The underfire manager explained the Bianconeri jeered and booed from the get go so what he did was him asking them to get louder simply because he couldn't hear their jeers following United's late win. 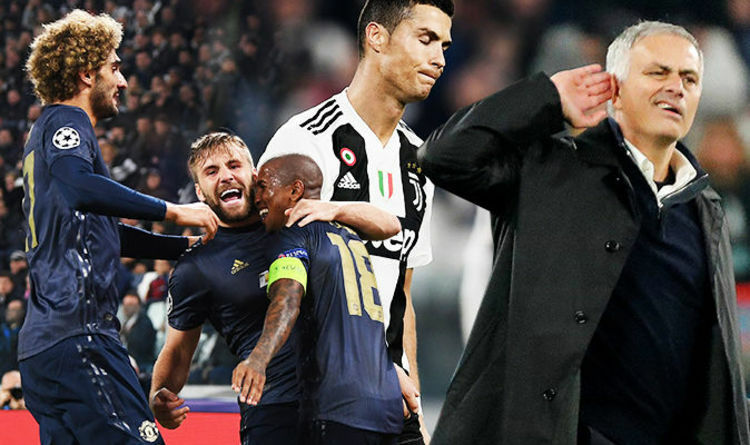 Juventus unbeaten in all competitions in 2018-19, they were poised for yet another win when unstoppable Cristiano Ronaldo gave them the lead in the second half. But the Red Devils had other ideas, drawing level through Juan Mata before Leonardo Bonucci's last-minute own goal handed them a priceless win. The "Special One" is not fondly remembered in Turin, due to his enviable exploits with the club's bitter rivals, Inter Milan that included a treble win in 2008-9. But after cupping his ear at the home fans with a grin on his face, Mourinho believes he had every right to do so in the heat of the moment but talked it down during his post-match press conference. "I was insulted for 90 minutes. I came here to do my job, nothing more,” the coach told Sky Sport Italia. "I didn’t offend anyone at the end, I just made a gesture that I wanted to hear them louder. I probably shouldn’t have done it, and with a cool head I wouldn’t have done it, but with my family insulted, including my Inter family, I reacted like this." "We played a fantastic game, to our top level, as we cannot be any better than this. We came here to play like a team that was against a side with different potential on every level." "We managed to win because we played a very, very positive match and we looked for the victory to the very end. We looked for it." He praised Mata and physical midfielder Marouane Fellaini, both came off the bench to great change the course of the game. "Fellaini changes the game, most often at home. We didn’t have him in the first leg, Juventus introduced Barzagli to control us, but we immediately went direct and got the goals," Mourinho explained. "We introduced Juan Mata not for the free kicks, but to put the crosses in for Fellaini, who always dominates in the air." "A point or three would’ve changed little for Juventus, but three points makes a big difference to us." United now sit in second place in Group H, two points clear of nearest rivals Valencia who downed Young Boys 3-1 earlier on Wednesday to keep their own bid for the last 16 alive.